With radiant light plus city and harbour views, this 8th floor apartment within the popular Spire Apartments above Market Town shopping centre will certainly impress. Residents within this visionary development are already raving about the lifestyle offered here. Entertain in customised luxury in this near-new two bedroom plus study apartment featuring flowing interiors with an uplifting sense of space, inspired design and impeccably appointed finishes throughout. The loggia style generous balcony almost adds the feel of an extra living space and the study area can transform to suit a guest bedroom with it's own adjacent bathroom. * Very generous bedrooms; main with ensuite and walk-in-robe. * The apartment overlooks unique rooftop gardens. * Security parking plus a large storage cage. Ducted air-con. * Quality automated blinds and a very generous balcony. 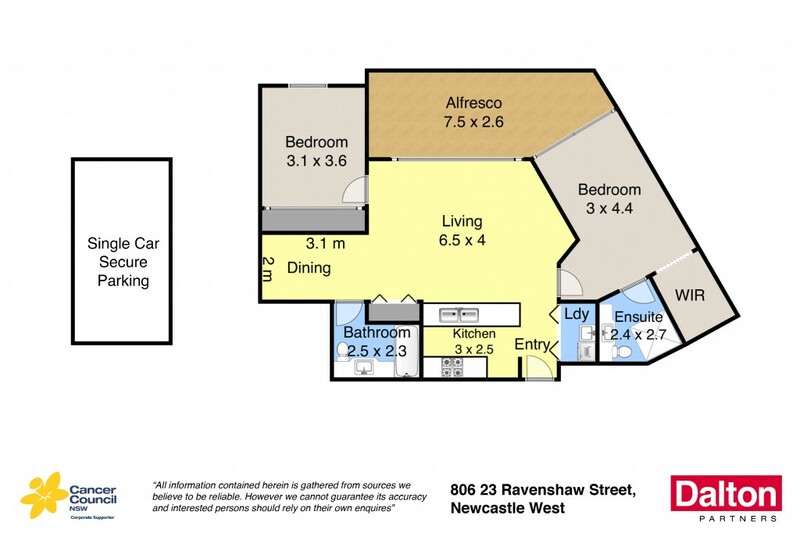 * Approximately 124m2 floor space. * All amenities at your fingertips in the shopping complex below.